The Bay Area must make more progress on key regional priorities, especially housing. The Bay Area's housing and transportation crisis reflects the cumulative impacts of the region’s robust job market and its acute failure to keep pace with housing need, especially near growing job centers. Plan Bay Area 2040 projects these problems will intensify if the region does not take significant corrective steps. As a path forward, MTC and ABAG developed an “Action Plan” to focus on performance targets where the plan is moving in the wrong direction, as well as emerging issues that require proactive regional policy solutions. MTC and ABAG propose a multipronged strategy to address housing affordability, the region’s widening income disparities and economic hardships faced by low- and middle-income workers, and finally the Bay Area’s vulnerabilities to natural disasters such as earthquakes and floods. These three issue areas – Housing, Economic Development and Resilience – form the core of the Action Plan. The recommendations in this Action Plan are intended to address multiple Plan Bay Area 2040 performance target areas. 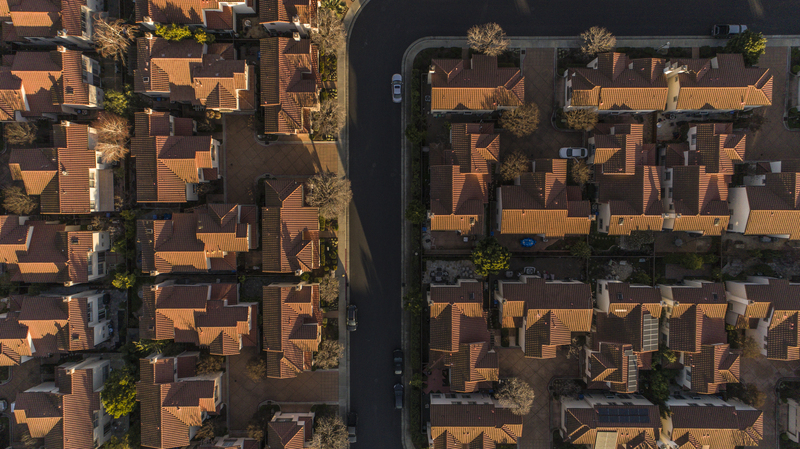 Housing: Lower the share of income spent on housing and transportation costs, lessen displacement risk, and increase the availability of housing affordable to low- and moderate-income households. Economic Development: Improve transportation access to jobs, increase middle wage job creation, and maintain the region’s infrastructure. Resilience: Enhance climate protection and adaptation efforts, strengthen open space protections, create healthy and safe communities, and protect communities against natural hazards. Similar to past regional achievements in the environment, transportation and economy, successfully addressing these needs during the implementation of Plan Bay Area 2040 will require a shared commitment among regional policymakers, local governments and civic organizations, as well as robust public engagement and participation. MTC and ABAG will provide semi-annual reports on Action Plan progress and implementation to joint meetings of the MTC Planning Committee and ABAG Administrative Committee during the early part of the regional planning process for the next Plan Bay Area. As described earlier in “The Bay Area Today,” the region faces many housing challenges, from skyrocketing costs to overcrowded housing to long commutes. Regional agencies, however, currently lack the tools, resources or authority to directly address identified issues of production, affordability and displacement. In response, the Action Plan recommends pursuing more ambitious funding, legislative and policy solutions at the state, regional and local levels as well as strengthening and expanding existing regional housing initiatives. Regional agencies will partner with state and local government, business leaders, and nongovernmental organizations (NGOs) to identify and implement game-changing housing solutions that will facilitate improved housing performance by: producing more housing, particularly housing affordable to very low-, low- and moderate-income households; preserving existing housing that is affordable to very low-, low- and moderate-income households; and lessening displacement risks faced by existing residents. Many of the solutions will require changes in state law and development of new funding formulas that do not currently exist. What actions have the regional agencies already implemented for housing? To date, regional agencies have largely focused housing actions on funding planning grants, conducting the Regional Housing Needs Allocation (RHNA), allocating transportation funds to reward cities that plan for and produce housing, using existing fund sources for limited direct investments in affordable housing, providing best practices and technical assistance, and advocating for statewide legislative proposals to reduce barriers to housing production. Produced Regional Housing Needs Allocations (RHNA) and monitored RHNA performance by income-level. Invested in the Transit Oriented Affordable Housing (TOAH) revolving loan fund. Linked approximately $600 million in One Bay Area Grant (OBAG) funds to the adoption of an approved housing element and conditioned nearly $20 billion in transit expansion priorities on minimum zoning densities via MTC's TOD policy. Awarded 51 PDA Planning grants to date, which have led to increased planning capacity for 70,000 housing units, 110,000 jobs and 26 million square feet of commercial development. PDA Plans remove barriers to infill development by creating a predictable permitting process aligned with community objectives. Adopted a new OBAG framework in 2016 to increase incentives and direct investments for affordable housing. Convened regional committees for housing, including the Housing Forum, Housing Subcommittee of the Regional Planning Committee, and CASA - The Committee to House the Bay Area. Supported CEQA modernization and created an online guide to CEQA streamlining provisions. Two new endeavors will improve the region’s ability to address its chronic housing affordability challenges. The recent integration of MTC and ABAG staff will lead to more effective long-range planning and increase the region’s housing policy capacities. The newly created CASA initiative is bringing together diverse interests to develop a bold new strategy for housing production and preservation. Together these efforts will expand data gathering and technical assistance and recommend a range of legislative, funding and policy measures to help provide for the region’s housing needs at all income levels. Housing in Santa Clara County. MTC and ABAG are helping to coordinate CASA - The Committee to House the Bay Area. This initiative is bringing together a multi-sector set of partners to identify and agree upon significant regional solutions that address the region’s chronic housing challenges and advance equity and economic health in the nine-county Bay Area. Through stakeholder engagement, research and interviews, CASA will develop a comprehensive regional approach to the housing crisis, focusing on increasing housing supply, improving housing affordability, and strengthening preservation and anti-displacement measures. Objectives include a suite of legislative, financial, policy and regulatory recommendations, with partners agreeing on a path forward and working together on implementation. A final report is scheduled for release by the end of 2018. TABLE 5.1 Plan Bay Area 2040 “Action Plan” recommendations for housing. Creating a more affordable region also requires a Bay Area economy with greater economic opportunity and mobility for all the region’s residents and jurisdictions. The coming years could bring many threats to low- and middle-wage jobs through technological advancement or continued economic globalization. The Action Plan therefore recommends expanding regional economic development capacity while also focusing on increasing pathways to middle-wage jobs, preserving infrastructure and increasing affordable transportation access to job centers. Regional agencies – in partnership with business, workforce agencies and local jurisdictions – are working to establish a regional Economic Development District and accompanying Economic Development Strategy. This work will advance regional solutions related to business expansion and retention, workforce training, housing and workspace, and infrastructure improvements. This work will also enable the region to compete for public and private funding that can help leverage local assets in places poised for growth, particularly in communities of concern and other economically distressed areas. Long-term economic growth also requires infrastructure investment. While the region has made substantial transportation investments, it still has unmet capital maintenance needs exceeding $50 billion and some of the worst transit crowding and traffic congestion in the nation. 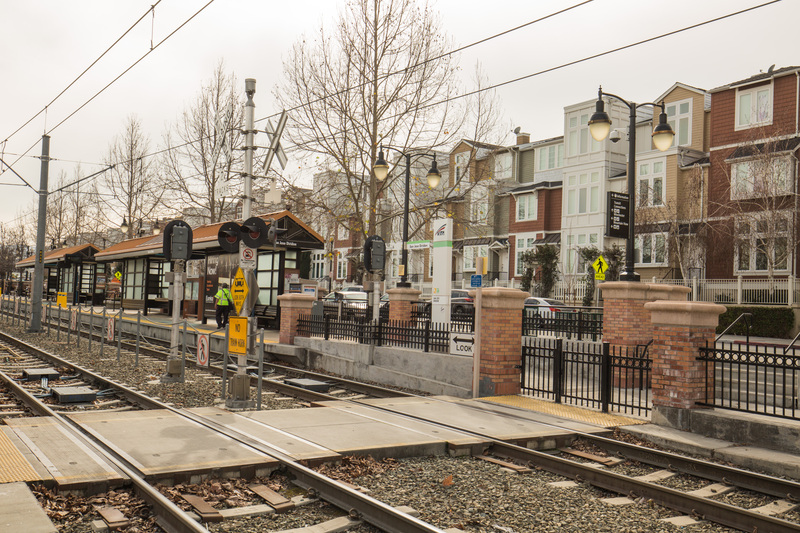 Relieving transit crowding and increasing transit access will require broad regional coordination and planning as well as significant state-funding to address shortfalls related to transportation maintenance and infrastructure. The region should also continue advocating for increases in funding for critical expansion projects, as well as for the maintenance of existing infrastructure. TABLE 5.2 Plan Bay Area 2040 “Action Plan” recommendations for economic development. In response to emerging and increasingly pressing threats to the Bay Area’s communities, ecosystem and economy, the Action Plan recommends continuing and expanding existing resilience efforts and developing creative funding solutions to implementing resilience projects. Resilience efforts help the region protect assets and people from natural disasters like earthquakes, floods, landslides and fires as well as prepare for climate change hazards like sea level rise, extreme storms and droughts. Resilience underpins the achievement of many other goals in the plan, such as housing, infrastructure and economic development, that may be significantly compromised by the impacts of disasters or climate change. Regional agencies have initiated several programs advancing resilience against sea level rise, flooding and extreme events including earthquakes. In 2010, the San Francisco Bay Conservation and Development Commission (BCDC) kicked off the Adapting to Rising Tides program, which evaluated vulnerability and risk along the shoreline of several communities and continues to be a platform for sharing best practices. More recently, the Bay Area Regional Collaborative (BARC), along with BCDC, have been awarded planning and design grants for assessing transportation vulnerability and developing design solutions for climate-related challenges. Caltrans and BATA allocated $1.2 million to continue to conduct a regional vulnerability assessment for transportation infrastructure, Priority Development Areas (PDA), Priority Conservation Areas (PCA), and disadvantaged and vulnerable communities. In addition to a regional vulnerability assessment, the project goals include developing a regional framework for identifying solutions and strategies to address vulnerability on an ongoing basis. The Rockefeller Foundation awarded a $4.6 million grant to create the Bay Area: Resilient by Design Challenge. Bay Area leaders will work with international design teams to develop innovative and implementable design solutions for climate-related challenges in 10 sites across the Bay Area region. This project will last through 2018. 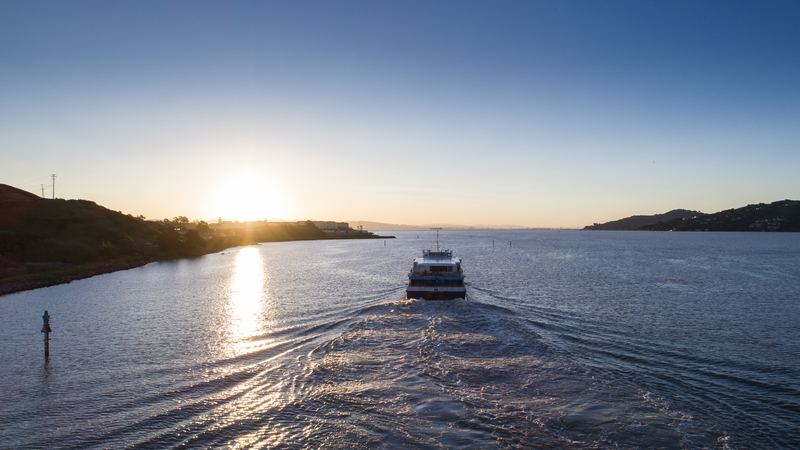 Ferry service in Marin County provides passengers with stunning views of the bay. Regional agencies have also collaborated with the Environmental Protection Agency, the Federal Emergency Management Agency (FEMA) and the California Earthquake Authority on recommendations for resilient housing, both for earthquakes and flooding. This collaboration established the Resilient Housing Policy Initiative that helps jurisdictions access analysis and policy tools for the seismic retrofit of existing housing. The Bay Area should expand these efforts through outreach and technical assistance, as well as develop financial solutions to resilient housing and green infrastructure, especially for communities with high social vulnerability and exposure to natural hazards. Many stakeholders and subject matter experts such as NGOs, universities, local jurisdictions, special districts and asset owners like utilities, parks districts, airports and private property owners are critical to the success of the Resilience Action Plan. TABLE 5.3 Plan Bay Area 2040 “Action Plan” recommendations for resilience. Learn more about Plan Bay Area 2040. Check out the latest videos related to the plan. Download the plan and review additional resources.